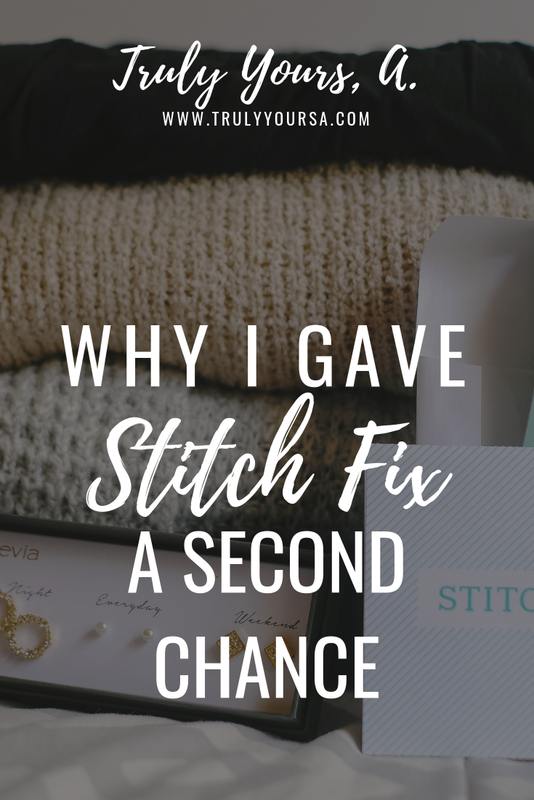 A couple years back, I used to review my Stitch Fix boxes on this blog (you can read all about my last 4 boxes here). The first and third boxes were amazing, but I didn't really like anything from the second or fourth, which caused me to cancel my subscription. 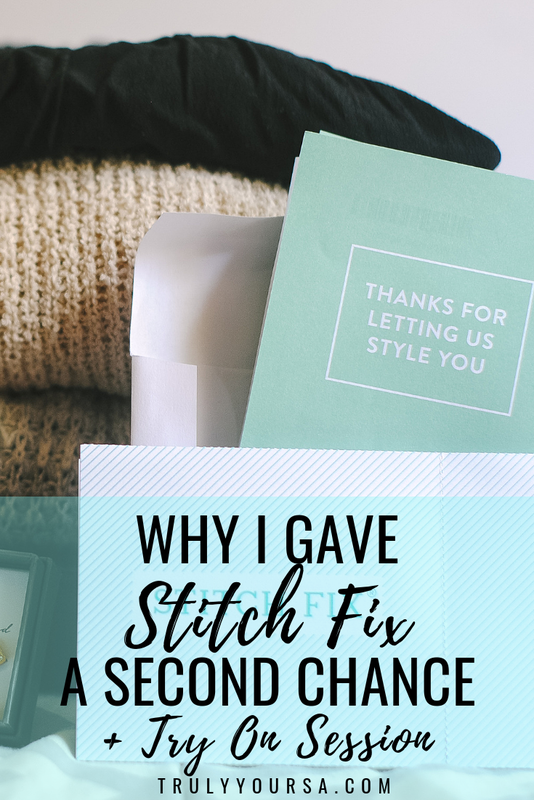 I decided restart my subscription to Stitch Fix a few months ago so keep reading to learn why! 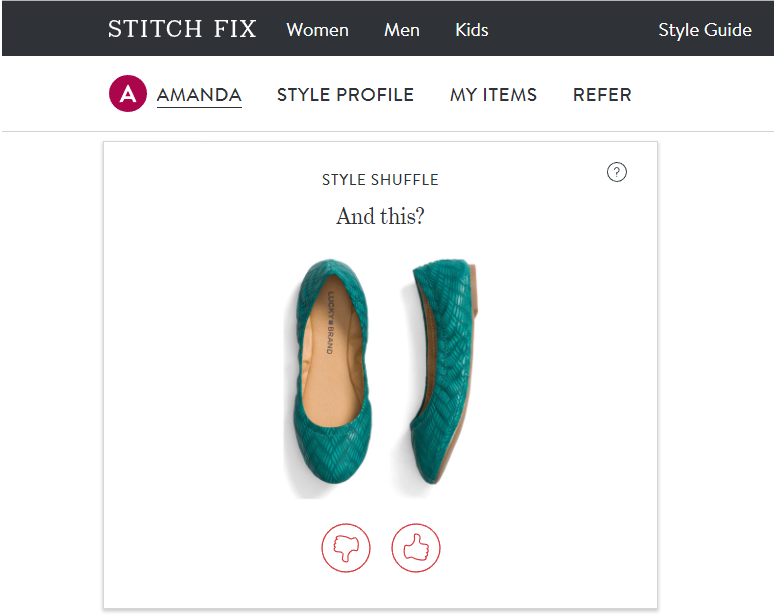 Stitch Fix has definitely stepped up their game in the last couple of years in a number of ways. They now have more name brands (Nike, Madewell, Kate Spade, etc.) 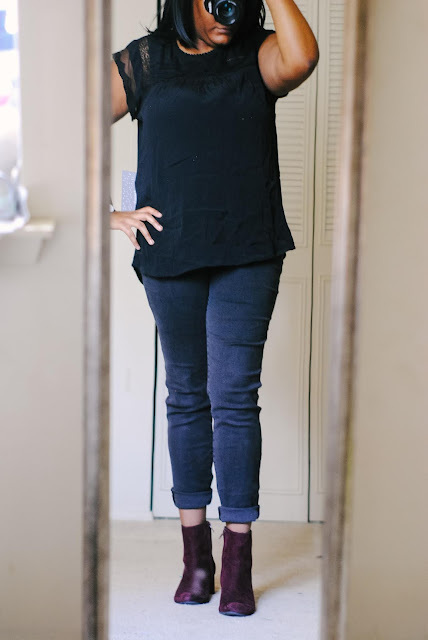 putting them on par with Le Tote (if you want to know the differences and similarities between the two services read this) and a Style Shuffle on your sign in page to help refine your style preferences. 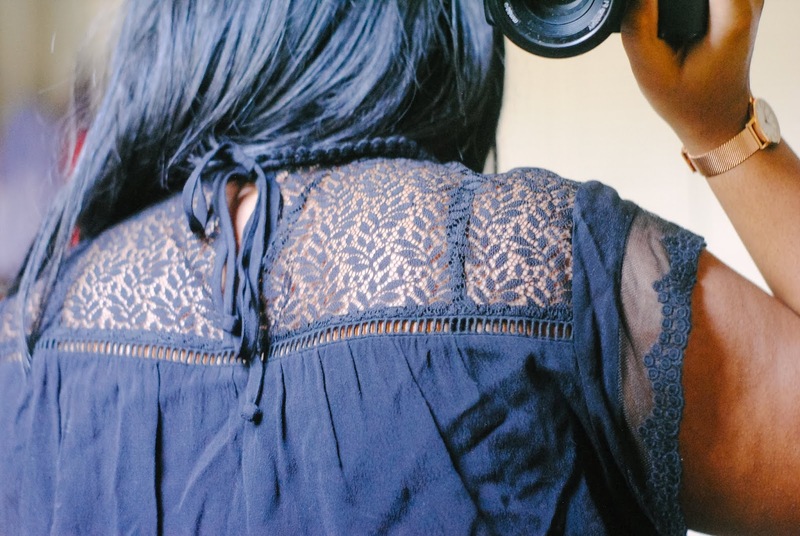 The Style Shuffle quiz is a great way to give your stylist a better idea of what you like (without leaving specific notes) so you get the best out of your Fixes. 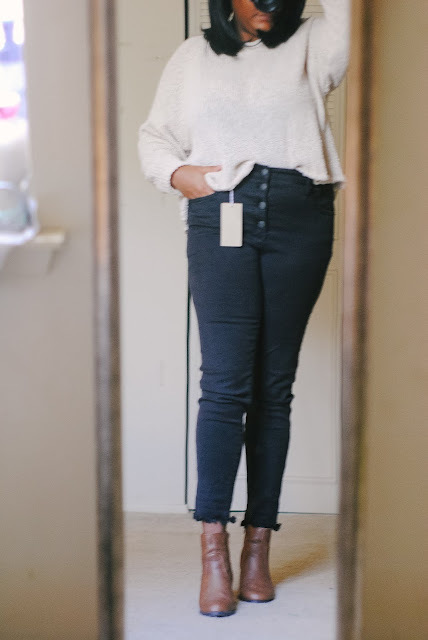 This is my second Stitch Fix since I've restarted my subscription and it has been one of my absolute favorites. It convinced me to keep getting Fixes and rebuild my closet, piece by piece. These two items together made for a SUPER cute outfit! 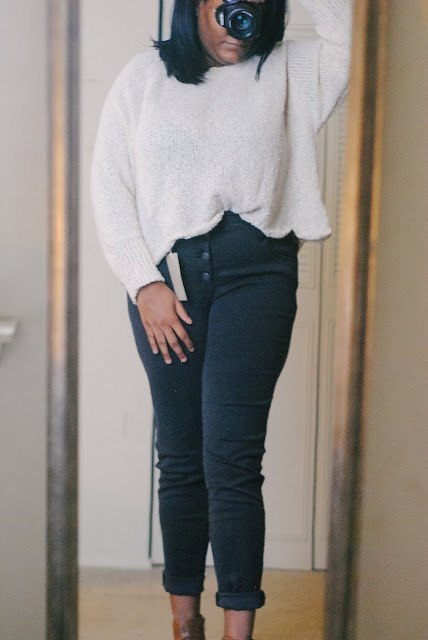 I was a bit nervous about trying a crop sweater, but I think it looks pretty good on me! If I return these I am probably going to regret sending them back. Luckily, Stitch Fix has an extend checkout option so I don't have to rush and send them back right away! So pretty and perfect for spring date nights, but I have too many black tops (if there is such a thing), so I will be returning this piece. 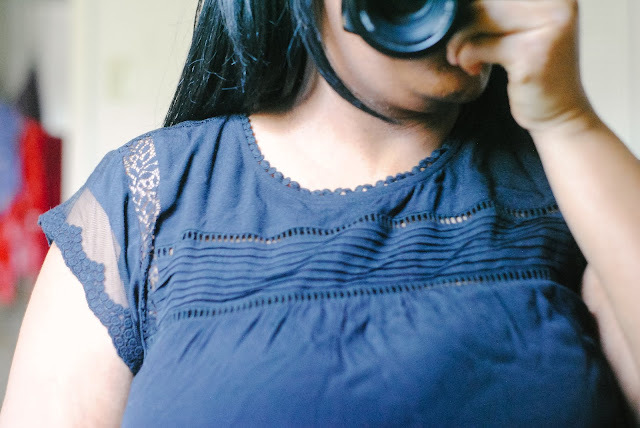 This was my favorite piece in my whole Fix. 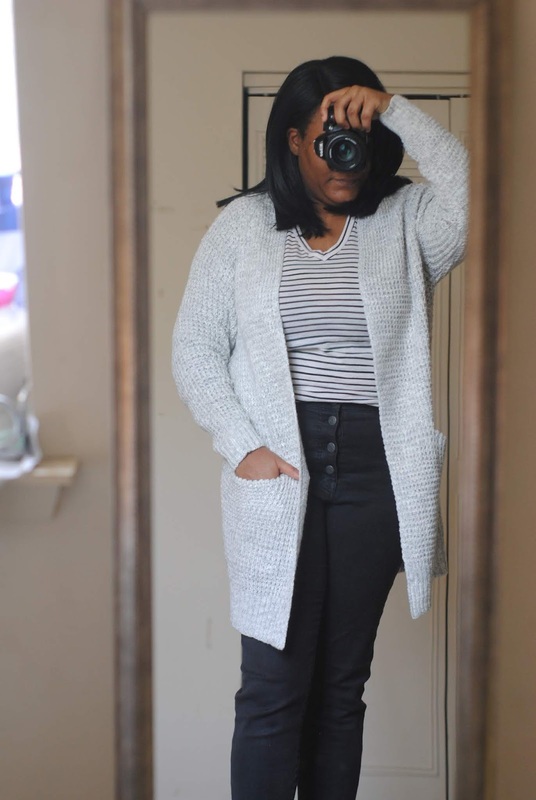 I've been on the hunt for a warm, cozy cardigan, but just too lazy to go out and actually look for one. 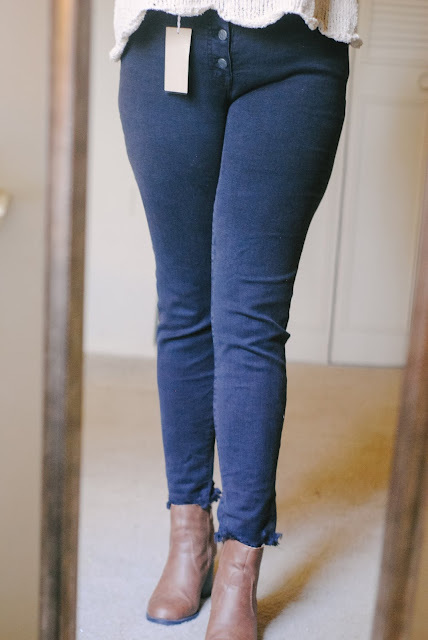 This one is the perfect color, length, and it has pockets. It was an instant keep when I pulled it out of the box. 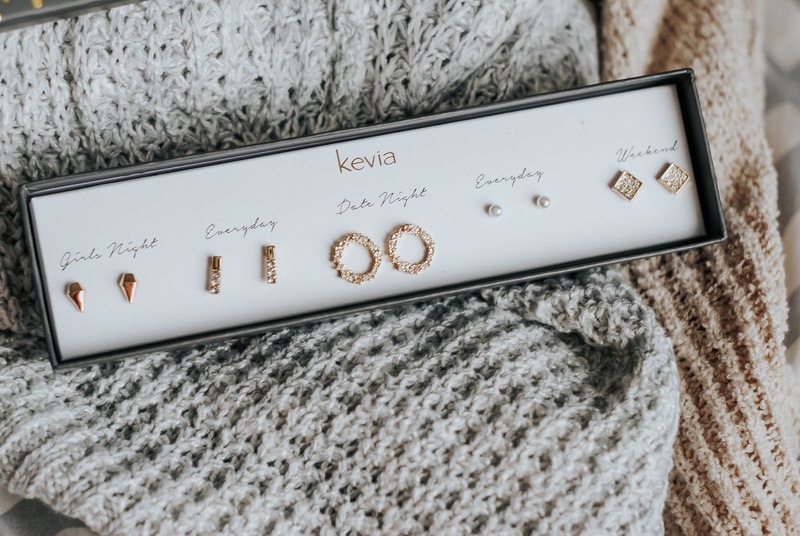 These earrings are all so pretty and dainty and great for everyday. 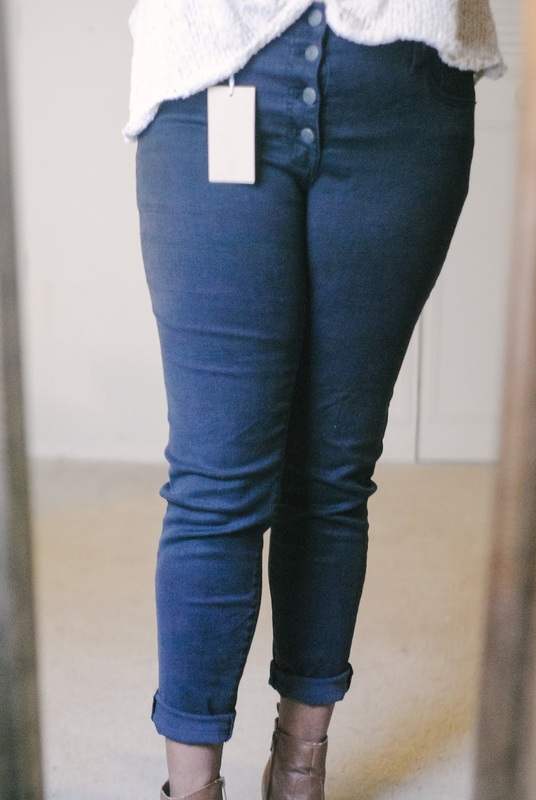 They are all a little too small for my taste so I'll be returning them. Overall, I'm so happy with this latest Fix. 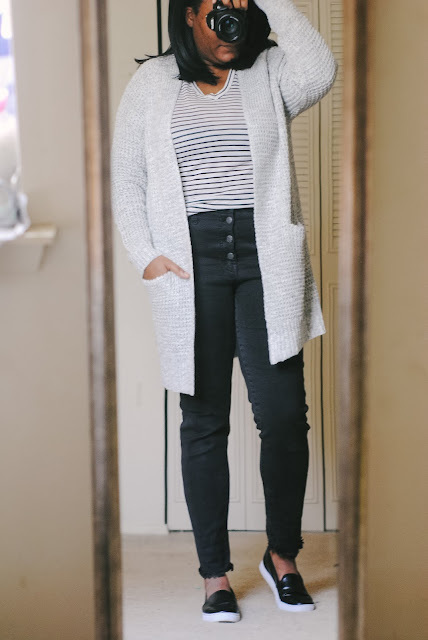 Each piece fills a hole in my closet and can be mixed and matched with so many things I already own. I didn't have to send my stylist a note about what I wanted which I feel is the whole point of using a service like this. I like to be surprised and have things sent to me that I like, but wouldn't actually pick out for myself (if that makes sense). 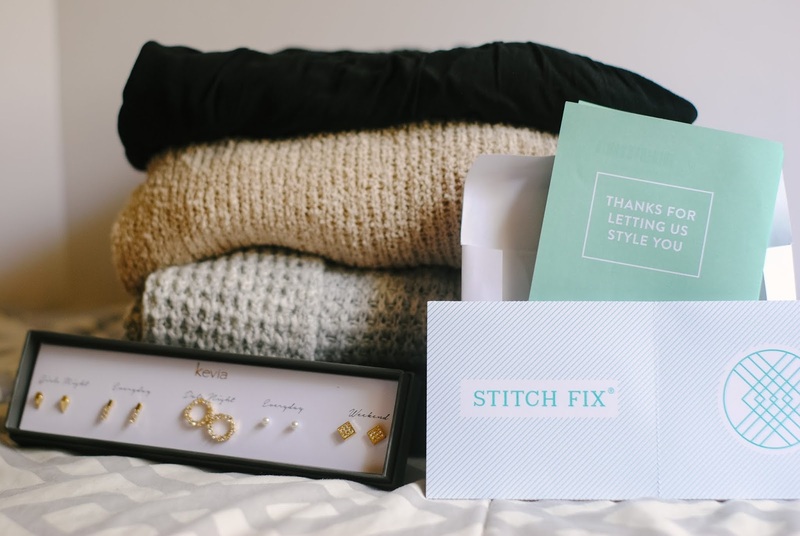 If you would like to try Stitch Fix for yourself here's $25 off your first Fix (referral link)! 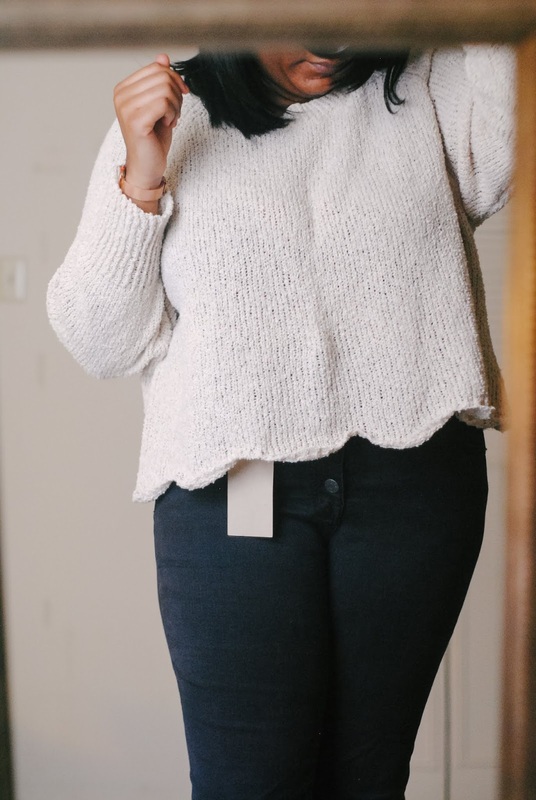 Tell me all about your favorite clothing subscription service in the comments below!